The Chinese government has awarded four young researchers who are currently working towards their doctoral degrees at FAU, Germany, the Chinese Government Award for Outstanding Self-Financed Students Abroad. The award is endowed with 6,000 dollars and recognizes outstanding doctoral candidates who have financed their studies abroad without a scholarship from the Chinese government. The selection criteria for this award include the quality of candidates’ research publications and a recommendation from their supervisor. 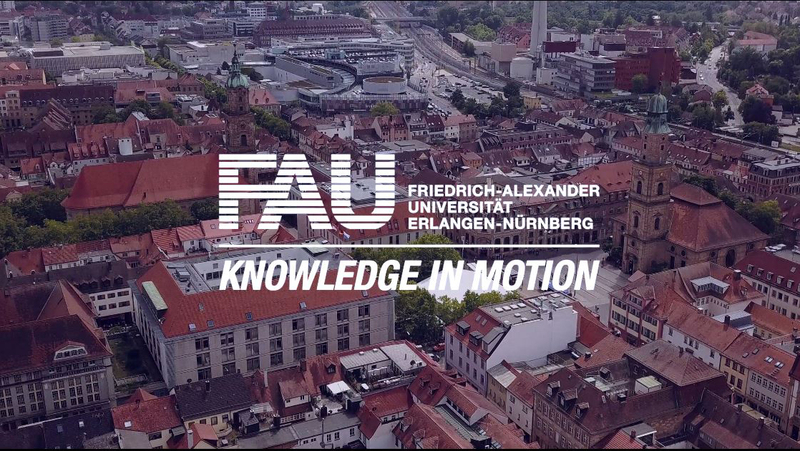 With four award winners in the 2013 call, FAU is the leading university in Germany. Huixin Bao, doctoral candidate at the Institute of Particle Technology, was also impressed by FAU: ‘At FAU, I have the chance to interact with collaboration partners within the University but also with external companies.’ She advises international applicants to prepare themselves for working and living in a foreign country by acquiring some basic knowledge about the country, from the language to the customs and traditions. However, she received plenty of support from the University in a range of situations, such as writing job applications. 30-year-old Huixin Bao completed her Master’s degree in Bioinorganic Chemistry at the Chinese Academy of Science in Changchun and then studied the Elite Master’s degree programme in Advanced Materials and Processes (MAP) at FAU before beginning work on her doctoral degree at the Cluster of Excellence EAM. Yang Xu is also one of the award winners. He works at Intel Mobile Communications, a subsidiary of the computer chip giant Intel, which develops semiconductors and solutions for mobile communication. He is completing his doctoral degree as an external candidate at the Chair of Hardware/Software Co-Design at FAU. ‘What I appreciate most with regard to the doctoral program of FAU is the freedom I have to choose the research area where I have the highest motivation and passion’, says Yang Yu. ‘We would like to congratulate our doctoral candidates. This award is a fantastic personal achievement and the result of many years of demanding and challenging research. During this time, they not only had to get to grips with a new research environment but also with being in a foreign country far away from their families,’ says Prof. Dr. Christoph Korbmacher, Vice President for International Affairs at FAU. ‘However, this success also demonstrates how Germany, and FAU in particular, has become an excellent location for doctoral candidates from abroad.’ Germany in general is an attractive country for excellent young researchers from China: of the 518 award winners worldwide, 38 of them are completing their doctoral degrees in Germany. The winners received their awards on 24 May 2014 at the Chinese embassy in Berlin.